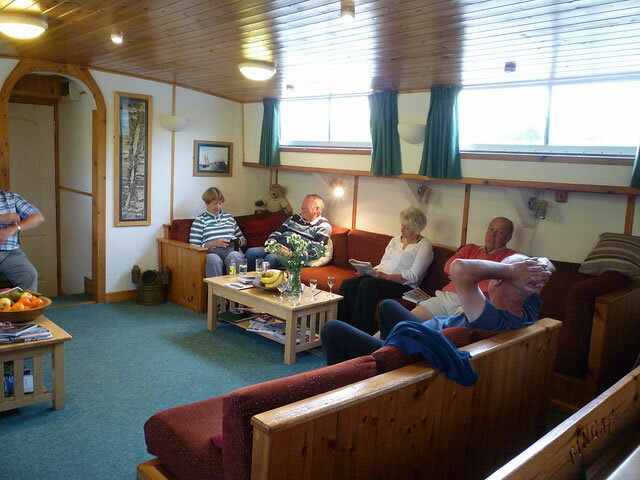 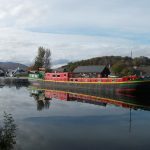 During the Autumn and Winter our comfortable holiday barges are parked at the top of Neptune’s Staircase on the Caledonian Canal near Fort William. 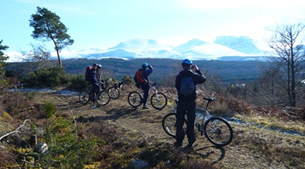 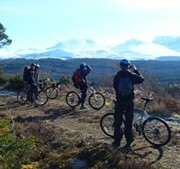 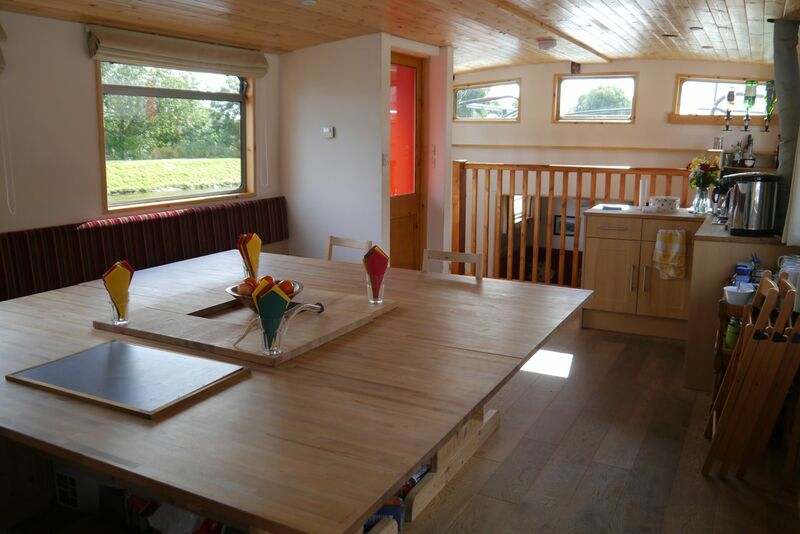 This is an ideal location for up to 12 guests to be based while staying in the Highlands. 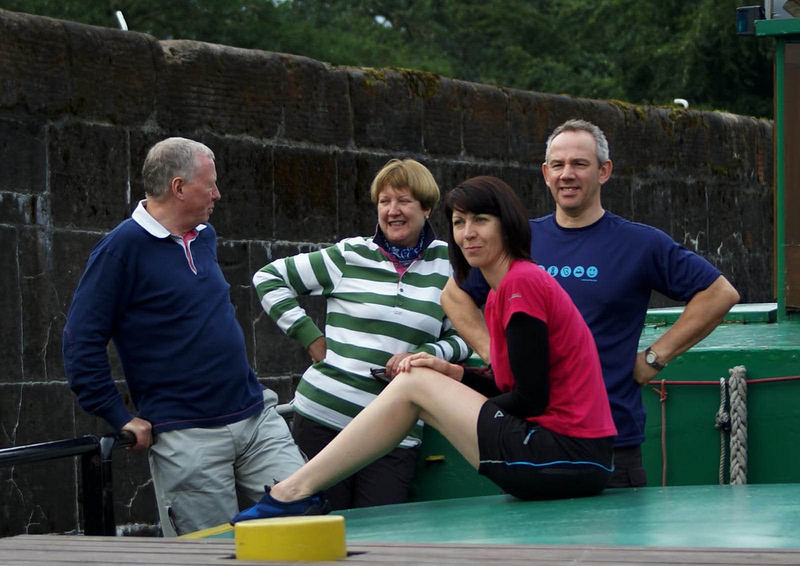 With a waterside location there is complete privacy and adjacent canal towpath, an ideal location for walking and cycling. 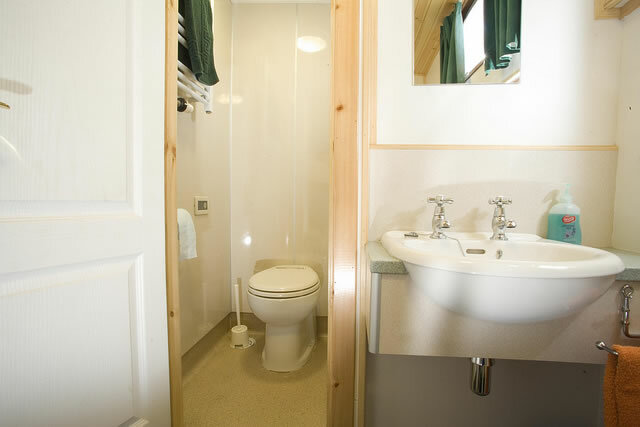 There are 6 en-suite twin cabins which have powerful hot showers and under floor heating making a cosy cabin even in the coldest months. 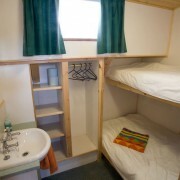 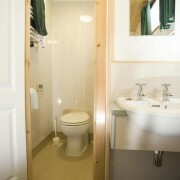 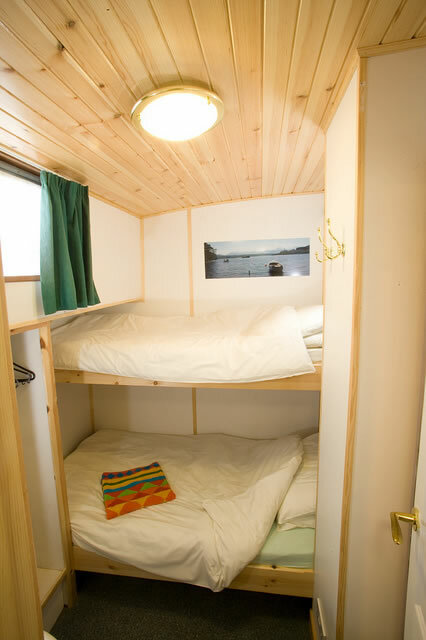 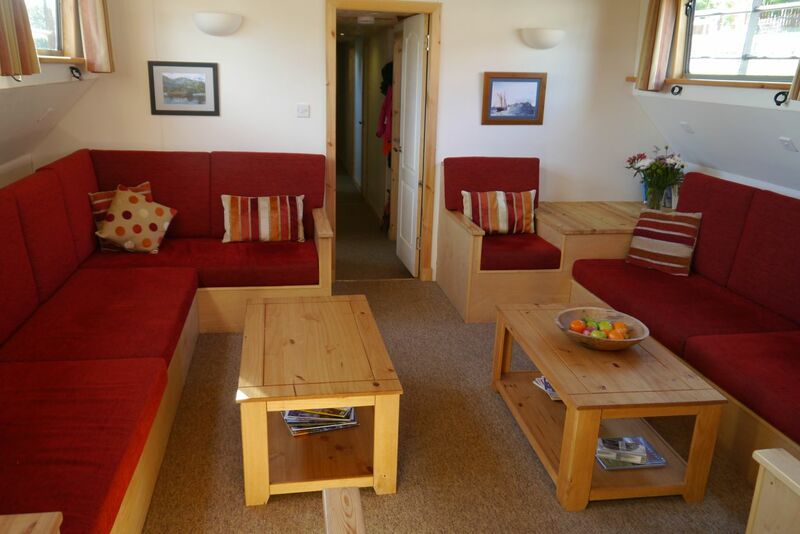 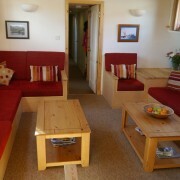 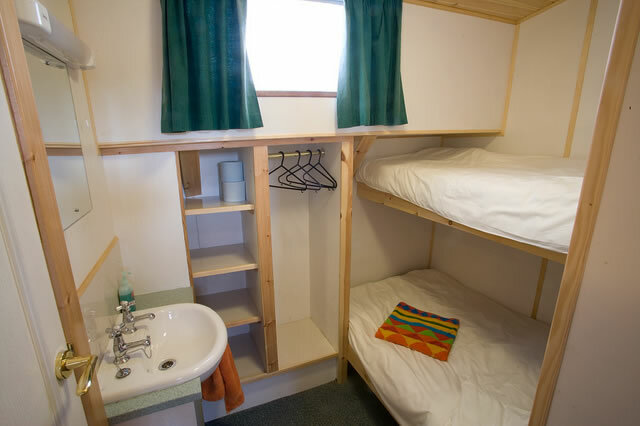 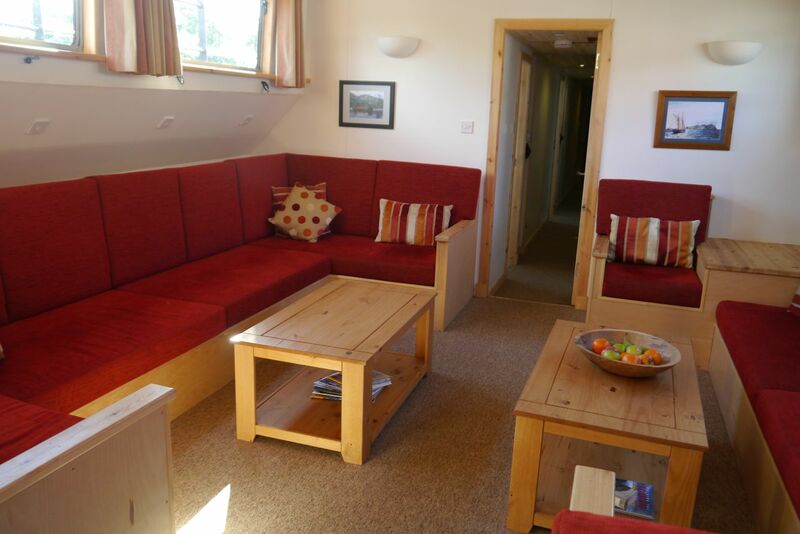 There are also a further 2 non ensuite places available for larger groups. 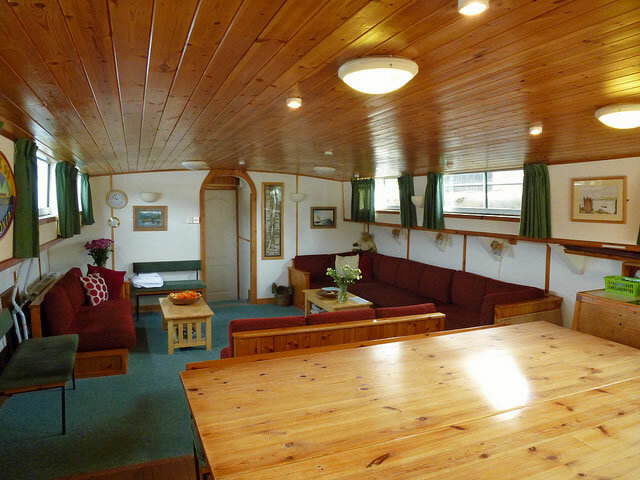 The lounge and dining area mean there is plenty of room to sit and relax during your stay. 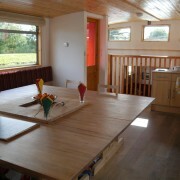 The kitchen has every cooking utensil required and a dish washer. 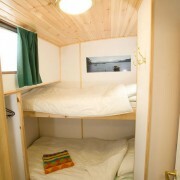 An efficient drying room is on board too. 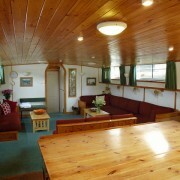 Exclusive use of the whole boat excluding crew areas. 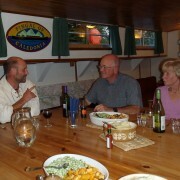 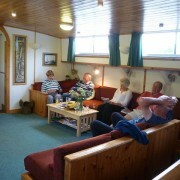 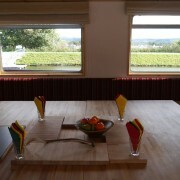 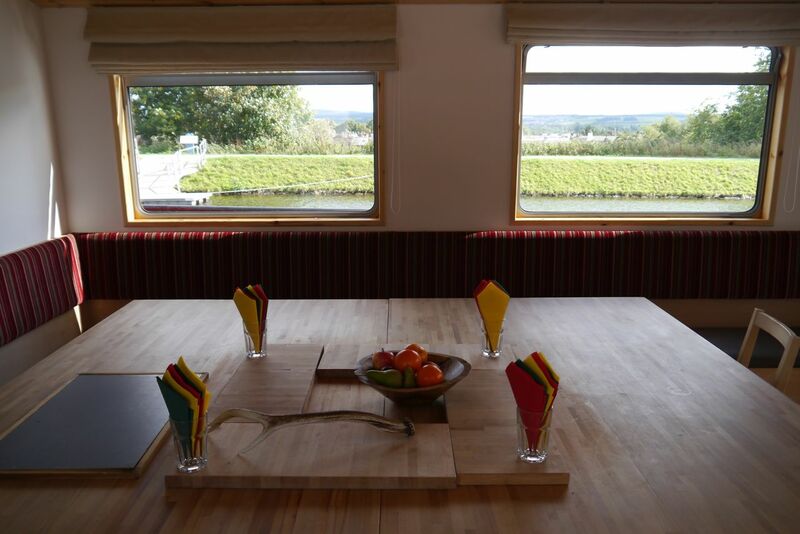 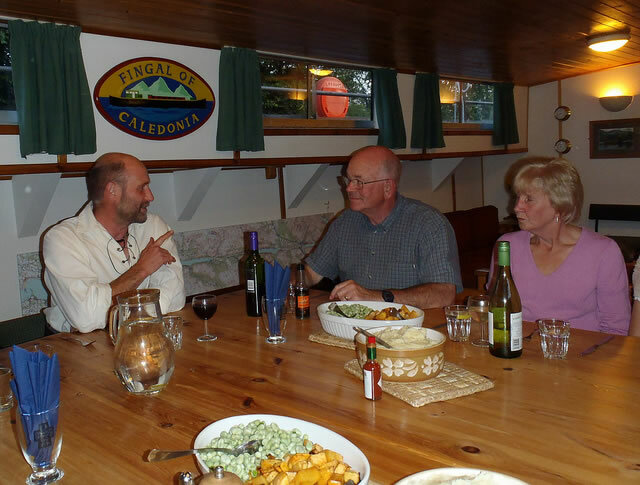 The galley is well equipped to cater for up to 12 people. 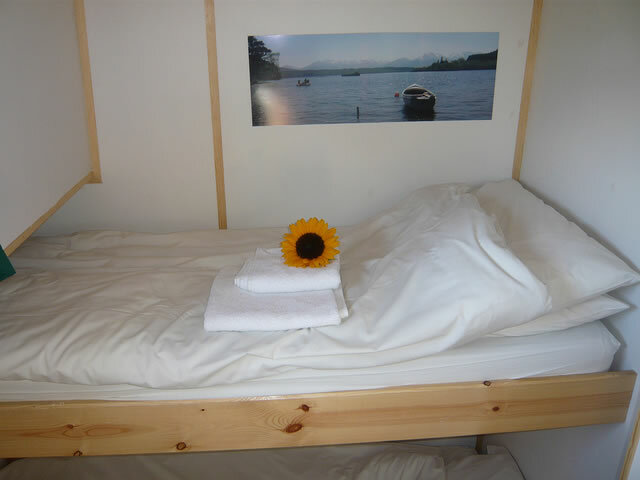 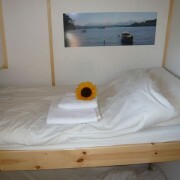 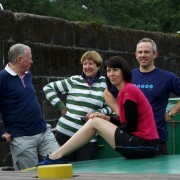 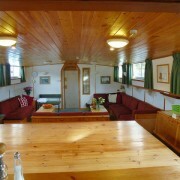 The price for the whole barge for up to 6 guests is £240 a night. 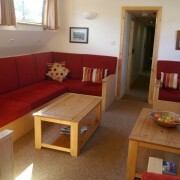 For 7 or more, up to a maximum of 14, there is an additional charge of £25.00 pp/pn. 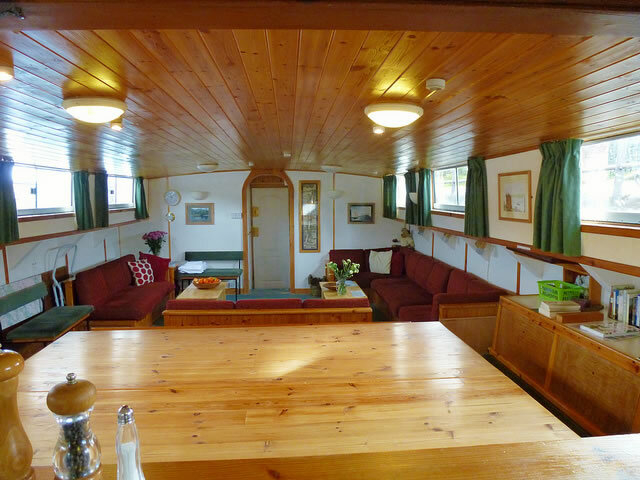 There is a No Smoking policy on board Sorry – Pets are not permitted.